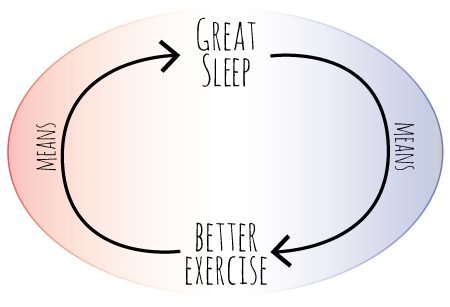 More Sleep Means Better Exercise; More Exercise Means Better Sleep! If you are having trouble sleeping, then exercise might be the perfect way to finally catch some zzz’s. A regular exercise routine has been shown to help people with chronic insomnia, sleep disorders, and those with poor sleep quality. On the flip side, sleep is vitally important to athletes hoping for a stellar performance. You should learn to take advantage of this free restorative service so your body and mind can be well-rested and energized for your workout. An article in Psychology Today explained how hitting the elliptical trainer for some solid sweating each day will help you sleep much better. The quantity of sleep will improve, but also the quality of your sleep. Daytime activity stimulates longer periods of slow-wave sleep that do the best job at restoring your body over the night. A study done by researchers at Northwestern University found that participants with chronic insomnia saw improvements in their mood and quality of life after adding three to four 30-minute exercise sessions to their week. That National Sleep Foundation recommends you get at least 150 minutes of exercise each week to boost your sleep habits. One study of participants who followed this rule reported a 65% improvement in their sleep quality. In addition, they felt less sleepy during the day. Another study published in the journal Mental Health and Physical Activity reported that when research participants got more sleep, they also reported a 68% lower incidence of leg cramps and a 45% decrease in trouble concentrating when they’re tired. Not too shabby! For those of you hoping to improve your sleep with some daily exercise, you are going to need to be patient. 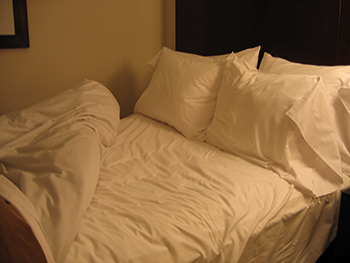 The effects are gradual and it make take several weeks or months until you notice real change in your sleep quality. Don’t let this stop you from establishing some healthy habits that will have a very real and healthy impact on your life down the road. If more exercise can help you sleep better, then it shouldn’t be too much of a surprise that more sleep can make you exercise better too! Stanford University sponsored a study that followed a group of athletes over the course of 3-weeks. Each athlete was simply asked to increase the amount of sleep they got each night. During this period, they posted faster sprint times, longer endurance, lower heart rate and overall better workouts. The reason that sleep is so important for athletes is because sleep is when the body recovers from your day. It repairs tiny micro-tears in your muscles and helps build new muscle tissue. Without sleep, your body can’t recover well from exercise. An athlete in training should aim to get about one additional hour of sleep than a non-training person. They could also take an afternoon nap. For members of the Stanford University basketball team, 2 additional hours of sleep resulted in a 5% increase in speed and 9% more accuracy on free throws. They also reported that they felt happier with the extra sleep! A poor night’s sleep can leave you with less overall energy and force you to deliver a less energized workout. Do you need one more reason to get a good night’s sleep? A lack of sleep can interfere with your hunger hormones so you are more likely to give in to cravings and overeat. We understand that life is busy. It can be hard to find the hours you need for a good night’s sleep. Rotating work shifts, long hours, after school obligation and other responsibilities have a way of eating of the hours in your day. By the time you hit the gym, make dinner, and are ready for bed, it could be hours after your intended bedtime. Remember how we said that more exercise will create a gradual change in the quality of your sleep? It turns out the exact opposite is true for sleep’s effect on exercise. A bad night’s sleep will have an immediate and drastic effects on workout quality! Exercise will help you sleep better! Get on a regular schedule. Go to sleep and wake up at the same time every day. Give yourself extra time when you travel to adjust to your new surroundings and a new time zone. If you have an athletic competition, make sure you arrive well in advance. Stay off of sleep medications. Natural relaxation techniques like meditation are better for sleep quality. Limit the alcohol and caffeine that you consume before a workout. 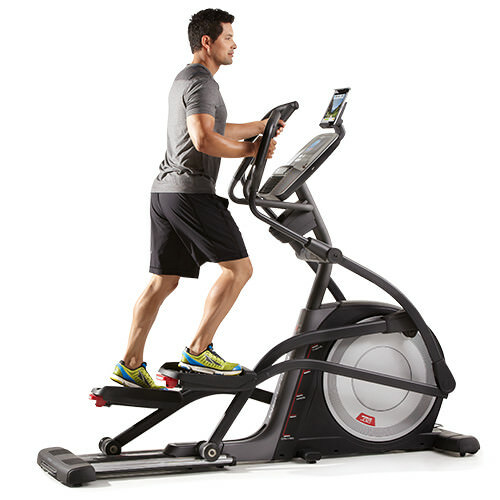 Check out our Best Buy Elliptical recommendations. Also, learn more about purchasing an elliptical from our Elliptical Buyer’s Guide. What experiences do you have with the sleep/exercise relationship? We’d love to hear your thoughts! Just comment below.